A discipline consisting of movements through a sequence of postures in coordination with focused breathing, yoga’s documented benefits include increased flexibility, better strength, lowered blood pressure and the reduced severity of insomnia. Many people attribute recovery from depression and anxiety to the regular practice of yoga. Could its practice be a beneficial resource when dealing with the mental and physical distress of cancer? Research on the use of yoga as a complementary and alternative therapy for cancer patients is early. There are gaps and limitations in existing studies, including the heterogeneity of yoga techniques and the assessment of protocols used in different studies. No standardized approach to analysis has been developed; studies on side effects are especially limited; and population sample sizes are relatively low. However, to date, assessments have been positive. 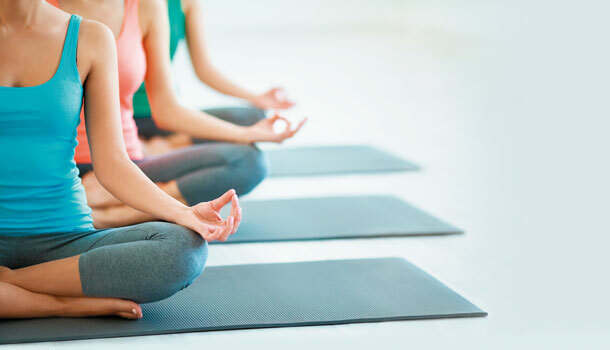 In a 2009 study published in the journal Complementary Therapies in Medicine, yoga was found to be an effective tool to treat anxiety symptoms in breast cancer outpatients. Of 101 Stage II and III breast cancer outpatients, 53 were randomly assigned to receive instructed yoga for 60 minutes daily, while the other 48 subjects in the control group received only supportive therapy. Many of the subjects were receiving either radiation therapy, chemotherapy or both. There was a reported decrease in overall self-reported anxiety and trait-anxiety in the yoga group. Another study found that patients’ quality of life (QOL) scores, after participation in a 12-week yoga program, significantly improved. There was a statistically significant decrease in their reactions of anxiety and the duration of that anxiety over time. Yoga too has been seen to help counter the decline in socialization which often accompanies a cancer diagnosis. According to a 2007 study in the Journal of Clinical Oncology, this social aspect of yoga is predominantly beneficial for the unmarried. To have the support of a yoga community—to walk into class and see teachers and peers that you recognize, and to receive encouragement from them, promotes overall QOL and even cancer survival. The assessment: Yoga promotes a spiritual human connection that many patients yearn for. A growing body of randomized controlled research on yoga too suggests that it may exert physical and psychological benefits in both healthy and chronically ill individuals. A systematic review of studies comparing yoga with other forms of exercise concluded that both healthy people and persons with chronic diseases (including cancer) find yoga to be as effective or better than other forms of exercise when it comes to improving muscle strength, toning and flexibility. One group of researchers focused on Tibetan yoga intervention on patients with lymphoma. There was some indication that the Tibetan yoga program reduced these persons’ sleep disturbances. Patients in the Tibetan yoga group reported significantly better overall sleep quality, as well as faster sleep latency, longer sleep duration and less use of sleep medications as opposed to the study’s control group. Sleep disturbances are a common and under investigated problem among cancer patients. Up to 75% of the cancer patients surveyed in one study experienced disturbances in their sleep and rest cycle. There may be profound consequences of disturbed sleep for cancer patients, because sleep may mediate both psychological and physical health. In fact, sleep disturbances have been associated with worse QOL in cancer patients, including increased depression and higher pain levels. Much more research—and more sophisticated studies—should be ahead. But, to date, the practice of yoga among cancer patients seems to offer benefits, with few, if any, costs.